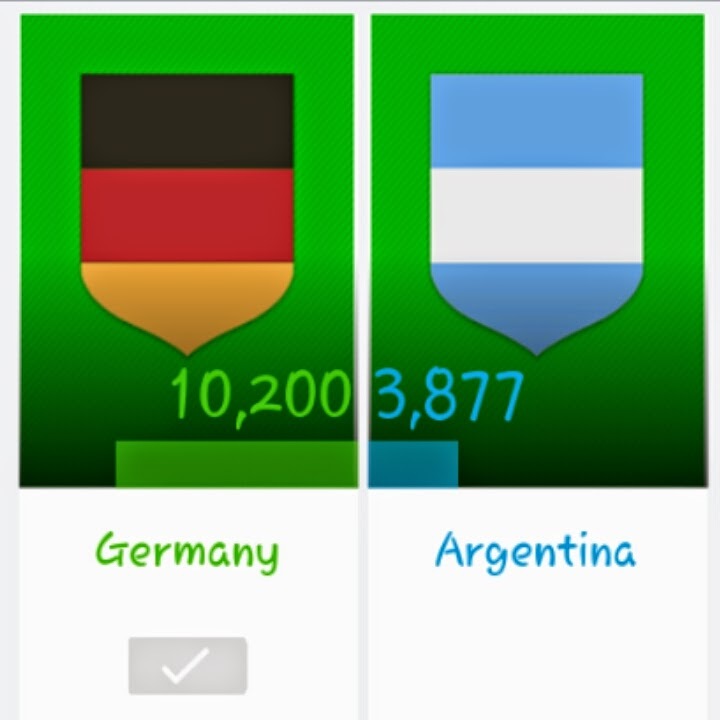 So it's Germany Vs Argentina! I promise this shall be the last football post for time being! No wonder champions tend to walk alone LOL. 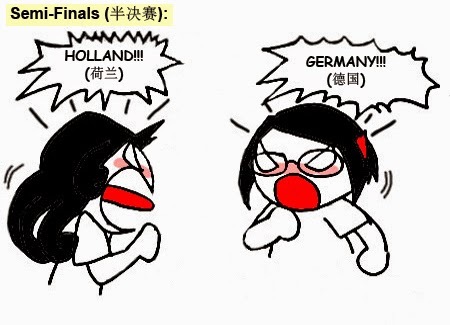 This comic pretty much sums up the overall World Cup atmosphere. At the beginning the debates are hot but it cools off when it comes to the knock-out stage ALLLLLLL the way until the Finals Day! I've this huge mind debate on choosing who to support this year. Just yesterday I read somewhere about a series of interview made with the Liverpool Fans from USA, on why do they support Liverpool. Most of them answered that they find a connection with the club they love. To them, supporting a team is a life-decision, just like what career you wanna go for, whom you gonna married in the future....okay this is too far *dragging myself back*, because you'll stick with the team for the rest of your life! 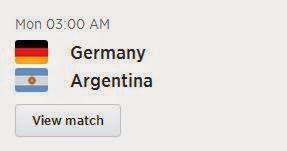 Germany is the first team that came to my mind in the first place, whenever people ask me who to support. I've been following Germany's performance from the day 1 of World Cup until now, or since 2006 if you want to be specific. I always believe that they can make it to this day (the day where they are in the Finals and it's THE TIME that kind of feeling, you know what I mean?? ), despite being through rounds of kena kicked out from getting the deserved cups. They form a perfect team this year. They have the skills and their performance is outstanding! I don't find any reason why I don't support them! In fact, they are sort of the ideal team that I would definitely like. The only problem is I'm yet to find the kind of "This is the Team I'm going to support for the rest of my life!!!" feeling. I wonder why. As for Argentina, I don't find any problem supporting this team as they have some ex-Liverpool players. Plus Lionel Messi is kinda cute! I think I'm gonna support him for the rest of my life. They don't give me that annoying feelings like how I feel when I see Netherlands played. Thou people said that Argentina relies heavily on Messi, thou are just looking on the surface side without understanding what's happening inside. My only problem is their jersey reminds me much of Manchester City. So you guys sorta understand my dilemma right now?? For hours, and hours, and hours, and hours and it keeps goes on until God knows when of thinking, it all comes down to this post. 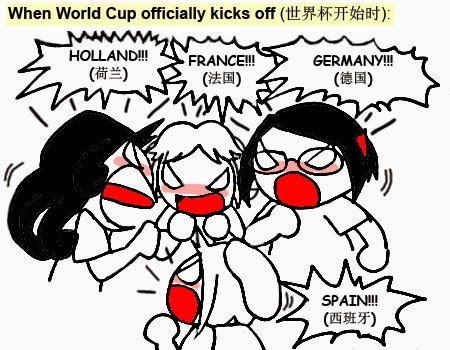 Back then when I'm supporting Spain, I've a HUGE football war with Miao Miao. I support Spain, and she support Germany. 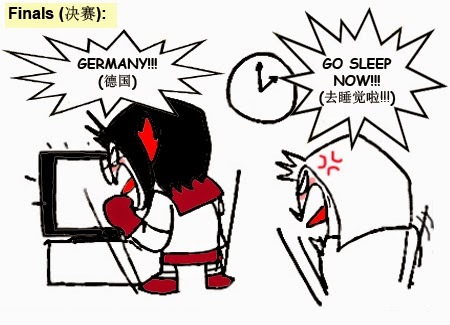 Obviously Spain won at the end but for some how le brain reminds me that I've said this to Miao Miao, that I'll support Germany in the future if you allow Spain to win this time! 6 years has passed so quickly and I think she'd forgotten about it. But a promise is a promise. This will be the day, that I shall fulfill my promise to her. I may not be a faithful fans yet, but I am trading my precious #PaulineTheOctopus name to yours tonight! Make sure you guys don't let me down!! So Argentinas, are you prepare?!? !